Environmental portrait and industrial photograph of Mr Kenney Breakfield, founder and owner of industrial facility Quality Manufacturing, a small business making big things. 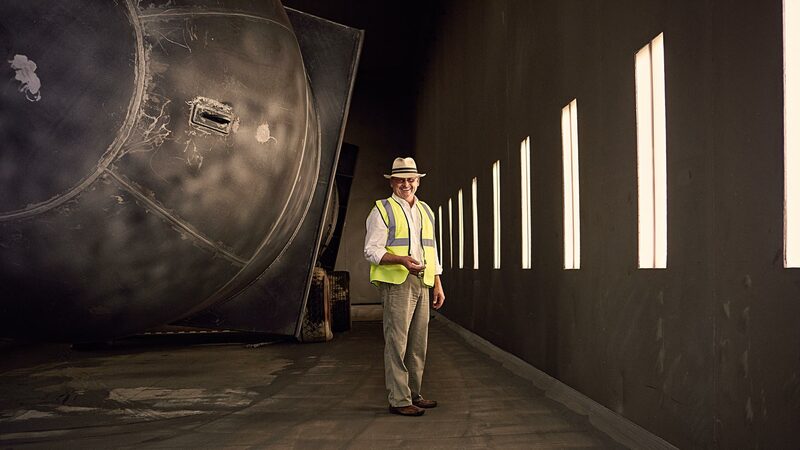 Namely the large tanks and other welded products he is standing next too in this photograph, for the oil and gas industry. The welding shop is based in Columbia, Mississippi. Photographed on location by Atlanta based portrait, editorial, industrial and advertising photographer Nick Burchell.